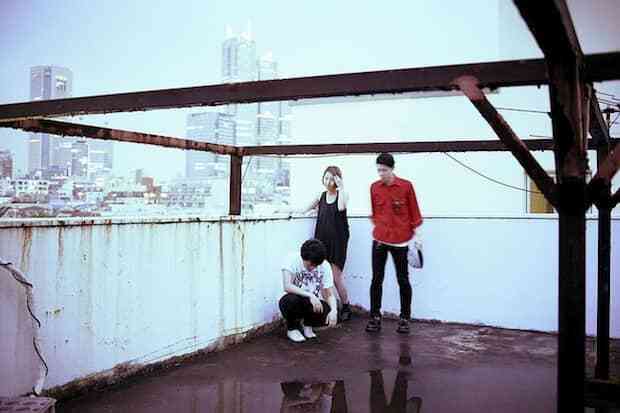 Tokyo's supernal trio Jesse Ruins will release their debut album, A Film, tomorrow via Lefse. Late nights will be better now that it's here. Fans of the defunct, M83-birthing French label Gooom will love synth gray-outs like "Lana"—even as Jesse Ruins fuzzes it all out, they sound sharpest playing slow, triumphant riffs. "Sleepless in Tokyo" is fantastic for the morning ride home after the first time you kiss. They employ great juxtapositions, too: when the grating "Before Dawn" melts into dreampop gem "Valentine at 2am," the album's closer and one of its best songs, it evokes the moment when your train flies out of a tunnel and passes a dewy field.